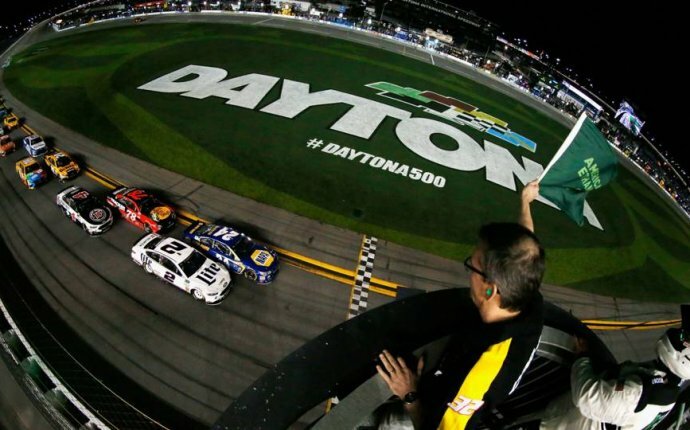 DAYTONA BEACH, Fla. - Ryan Reed picked up the second Xfinity Series victory of his career - both at Daytona International Speedway - by winning the wreck-filled season opener Saturday. Reed held off Austin Dillon and Kasey Kahne in a two-lap overtime shootout to win in a Ford for Roush Fenway Racing. Reed's only other career victory came in this race in 2015, and he was celebrated for overcoming a diagnosis of Type 1 diabetes to become a race-winning driver. Reed had initially been told upon diagnosis that he'd not be able to race. "Man, I thought about it this morning. I've had so many people come up to me and tell me how amazing that last win, my first win, was for certain people, " Reed said. "Everyone knows, a lot of people know, that I have Type 1 diabetes, and to see what that win meant to people it drove me to get back to Victory Lane." Chase Elliott and Dale Earnhardt Jr. are good storylines. Michael Waltrip's last ride and Daniel Suarez's first bear watching. New rules? Teammate betrayal? Sunday's Daytona 500 should be fun. Roush was winless last year in both the Xfinity and Cup series, but Reed's victory ensures him a spot in the Xfinity Series playoffs. "At the end of last year, I told everyone we had a lot of momentum and I said we're going to go to Speedweeks ready to go, and here we are, " Reed said. "So many good things are happening right now." Dillon was third in a Chevrolet for Richard Childress Racing, and Brad Keselowski was fourth in a Team Penske Ford. Scott Lagasse was sixth and the highest finishing Toyota driver. "A race like this, you just feel good to survive, " said Keselowski. A multi-car accident with 17 laps remaining cost Elliott Sadler the victory, but it wasn't a total loss. Sadler, one of the JR Motorsports drivers, won the first two stages of NASCAR's new format and was in contention for the win until the accident. "I feel like we were racing too hard. It's too early, " he said. "I just feel like it's a long race and we should be a little bit more smart." "We kind of figured that it would be different, but I thought everybody would still be somewhat smart and mindful of not tearing up your equipment early, and let's go after it with three to go, " Wallace said. "But there are different mentalities out there and that's what causes chaos." Also, Dillon's team was penalized before the race for having an unapproved substance on its tires. NASCAR punished the No. 2 Chevrolet by taking a set of tires, leaving the team at a competitive disadvantage for the 300-mile race. - Who Won the Race at Pocono Today?